You are here: Home / Architecture / KDC has expedited the build out of Toyota’s Legacy West headquarters! 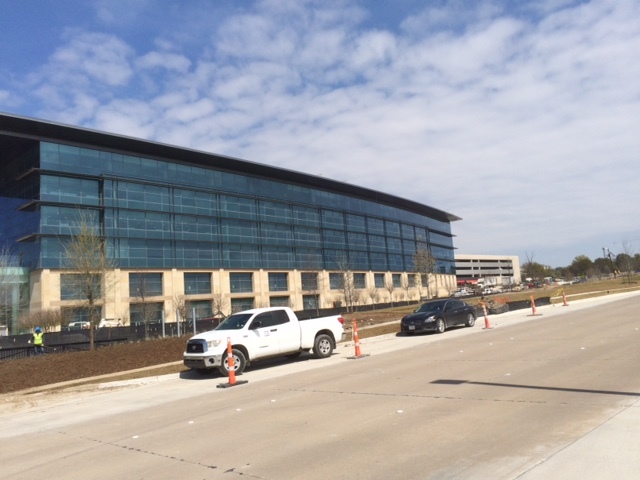 KDC has expedited the build out of Toyota’s Legacy West headquarters! One can only marvel at how Toyota’s Legacy West campus headquarters is being built in record time – during a labor shortage to boot. We’ve all watched in amazement the last two years as the Legacy West development has risen like the phoenix out of the ground on the west side of DNT across from the Shops At Legacy between Legacy Drive and SH121/Sam Rayburn Tollway from Legacy Drive with Headquarters Drive now cutting all the way through the DNT from the east side all the way west to Spring Creek Pkwy. The area just described here is the land that the $3.2 billion Legacy West development will sit on when all is finished. When Toyota employee’s start moving into the finished modern marvel of their campus in late April 2017 the most impressive part (my opine) of same isn’t the 7.75 megawatt solar power system ….it’s the fact that KDC was able to find enough construction laborers, having as many as 2,000 workers at any given moment on the 100-acre Plano site. And here’s the really AMAZING part and that’s these crews crammed more than FIVE CENTURIES worth of work into TWO YEARS. A major factor of the Toyota campus is it marks a turning point for the region not just in economic development terms and it’s also a first-of-its-kind logistical undertaking. If there’s any downside to an undertaking of this magnitude is it simultaneously ties up thousands of workers for long stretches of time and drives up demand for single-family houses that might othe wise be built by those same workers. And to compound the felony ‘so to speak’ you have two other major regional corporate campuses being built out at the same time 1) Liberty Mutual 2) JP Morgan Chase. So again just remember what ever the numbers are for Toyota’s build out you’ll have the same so to speak for those two entities that simply breaks down to the size of the facility being built for same. BREAKING NEWS: Actually a sidebar to the Toyota campus @ Legacy West aS there’s a ‘johnny-come-lately’ in the Toyota family divisions and that’s a new division TOYOTA CONNECTED, Inc which will not be housed in the main Toyota Legacy West campus. This division has leased a block of office space in the new Legacy West Urban Village mixed-use project which is located about a half-mile east of where Toyota is located on Headquarters Dr on the west side of Legacy Dr. Toyota recently invested $5.5 million in the new operation which is an expanded collaboration between the automaker and Microsoft. One Legacy West located at 7950 Legacy Plano 75024, on the southeast corner of Legacy Dr & SH121, is a high rise building which NTT Data will be moving to from their current offices in Granite Park 2 on the east side of DNT just north of the Shops At Legacy. One Legacy West is a major player in Legacy West as it is just due east of the Toyota Legacy West campus on Headquarters Dr and the FedEx Office regional headquarters campus is at 7900 Legacy Dr.
TAKEAWAY: LEGACY WEST just might be the first mixed-use development where an employee of Toyota, Liberty Mutual, JP Morgan Chase, FedEx Office or any other companies with multiple employees located in the Legacy West quadrant might live full time in an apartment , Villas at Legacy West or Windrose Tower and never have to own a car (or use UBER on an infrequent basis when four wheel transportation might be needed). My wife , business partner and I lived in NYC in midtown near Central Park for 4 years from 1987-1991 and never owned a car during those four years so it realistically can be done. Based on this thought there would be one other thing that Toyota, Liberty Mutual, JP Morgan and FedEx Office might consider and that is having an employee shuttle like Granite Park does that shuttles employees from the various towers in GRANITE PARK to *Shops At Legacy for breakfast, lunch or dinner. 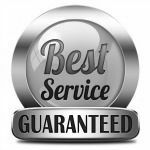 This service is known as GPASS – Granite Park Area Shuttle Service. *Shops At Legacy update …… it’s that time of year again when Legacy Live Music Series starts April-June on Thursdays-Saturdays 5:30PM-8:30PM …. so come out and enjoy the free entertainment.